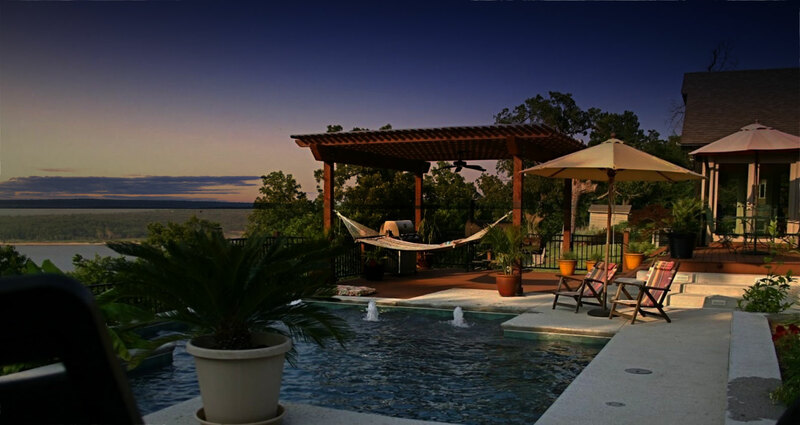 Imagine stepping outside your back door into a private paradise alive with the sound of cascading waterfalls and rippling crystal blue water set in a backdrop of brilliantly colored flowers and lush foliage. 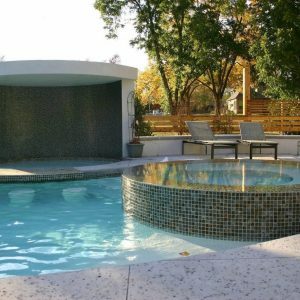 Immersed in your warm, tranquil oasis, you alone have the discretion to change any aspect of your environment right at your fingertips. 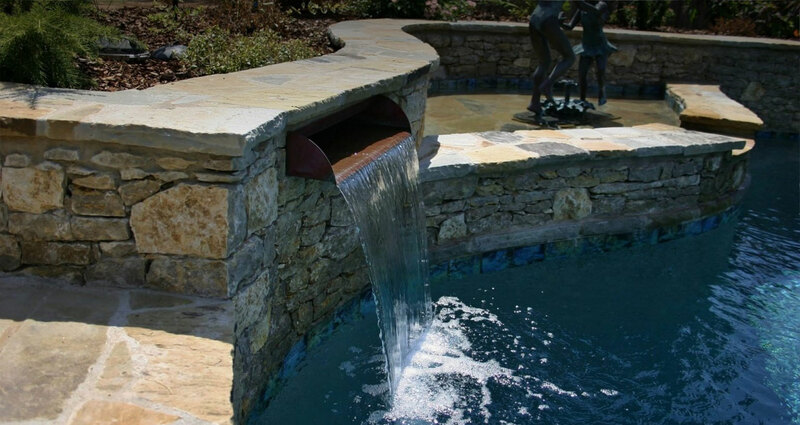 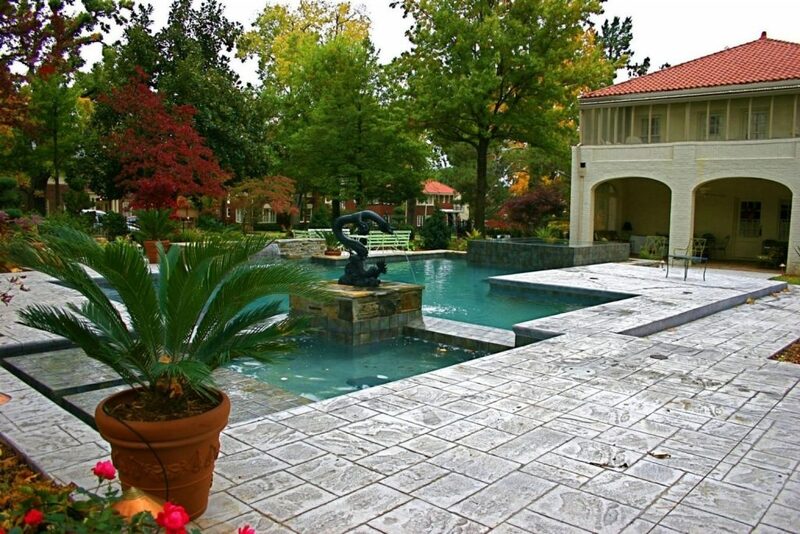 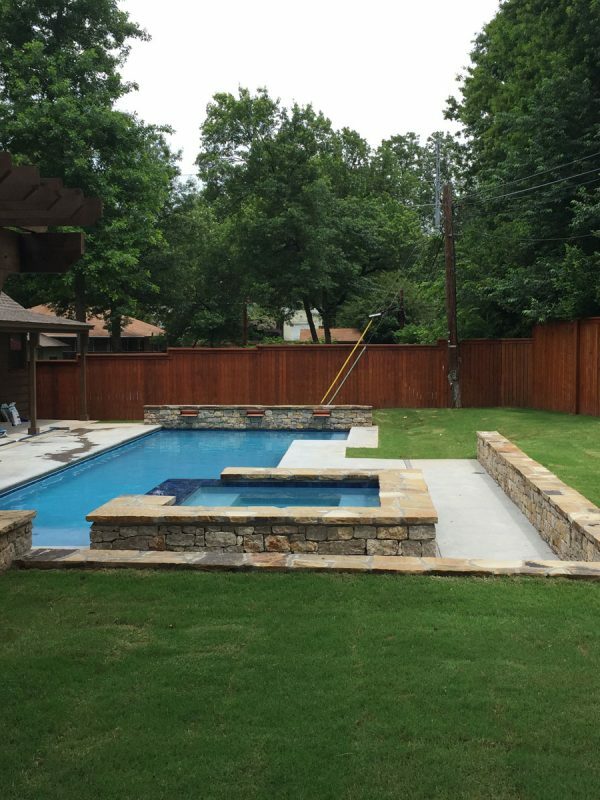 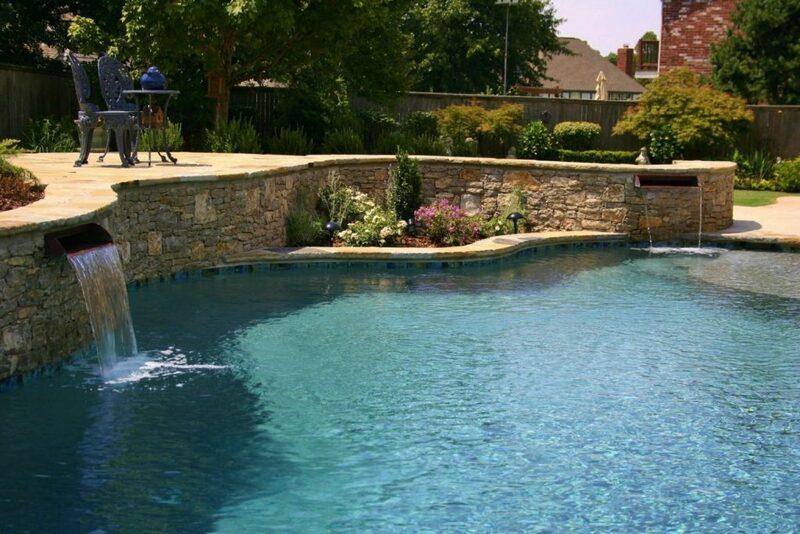 Vivion Pools specializes in complete design and installation of custom swimming pools. 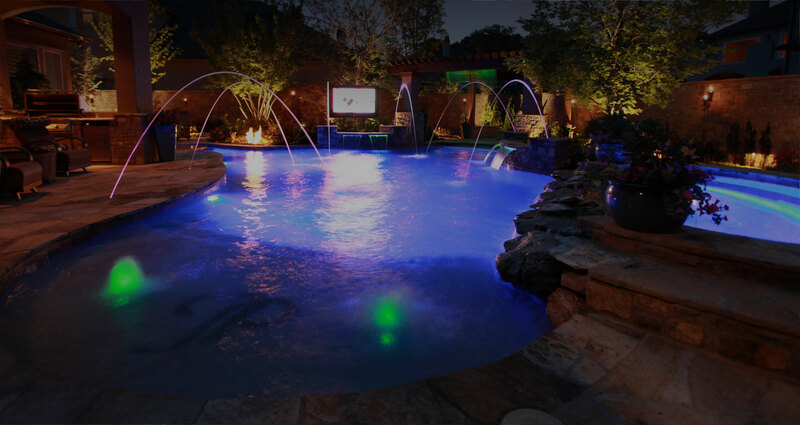 Unwind beside your shimmering pool while the cares of the day melt away. 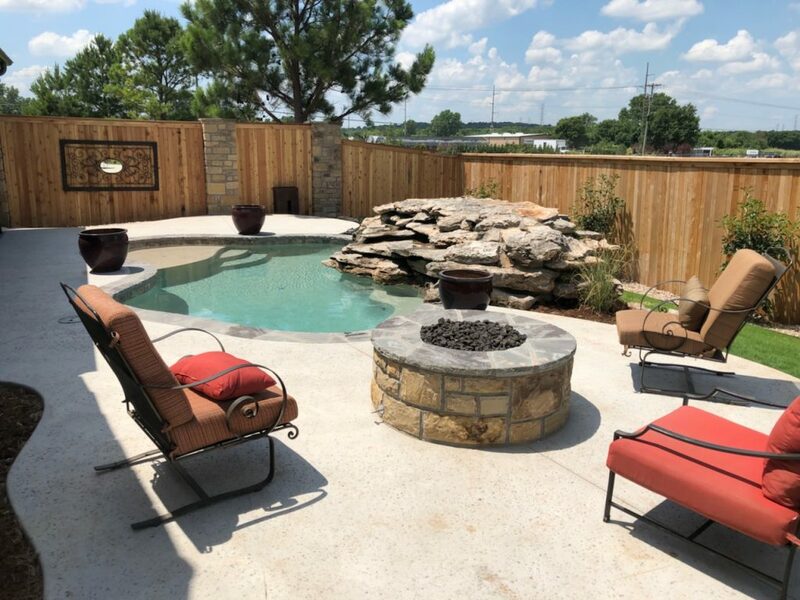 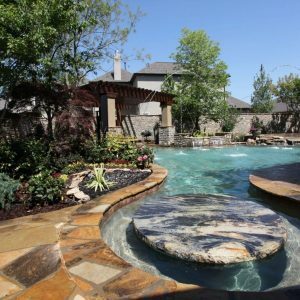 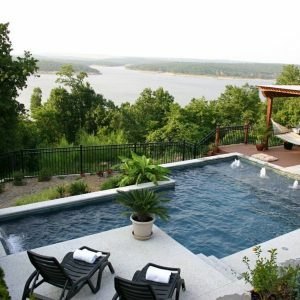 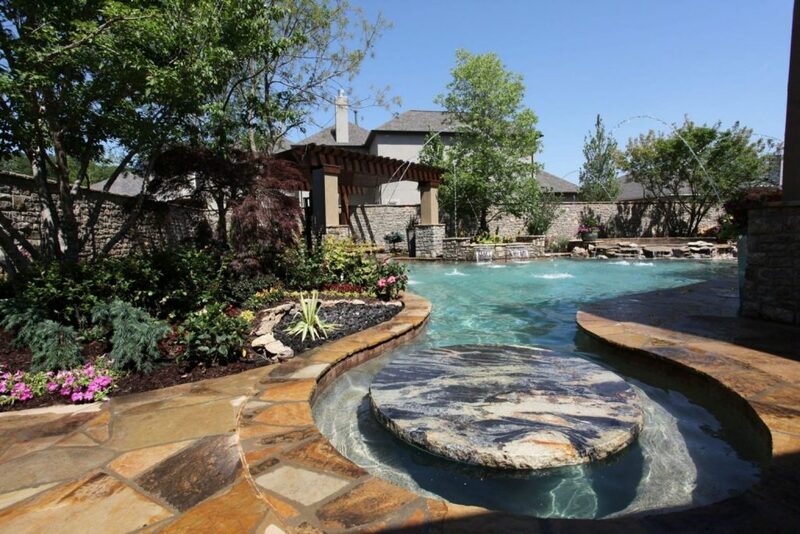 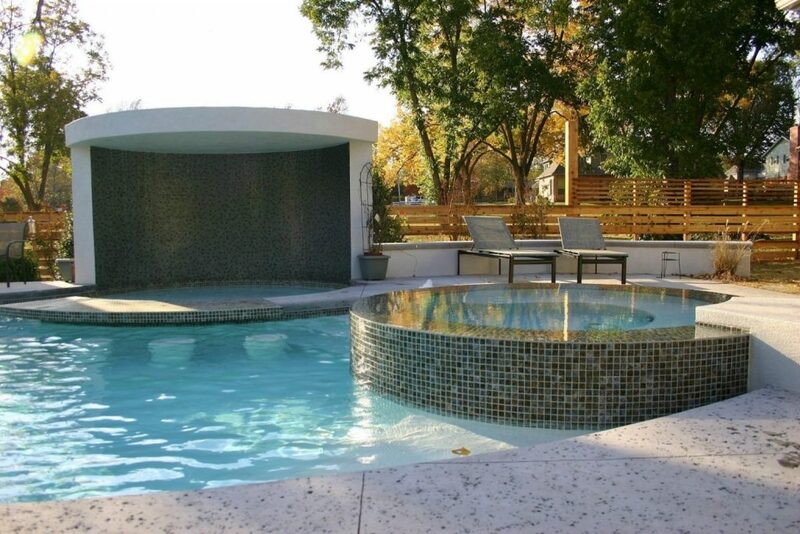 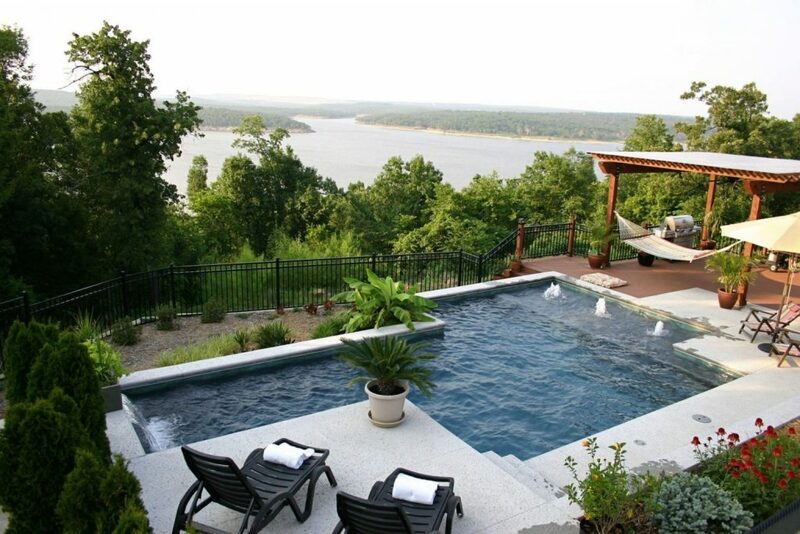 Vivion Pools can create a perfect “backyard escape” for you. 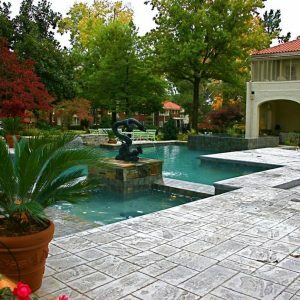 Imagine the drifting curves of a lush tropical setting or the formal lines of a classical Roman design. 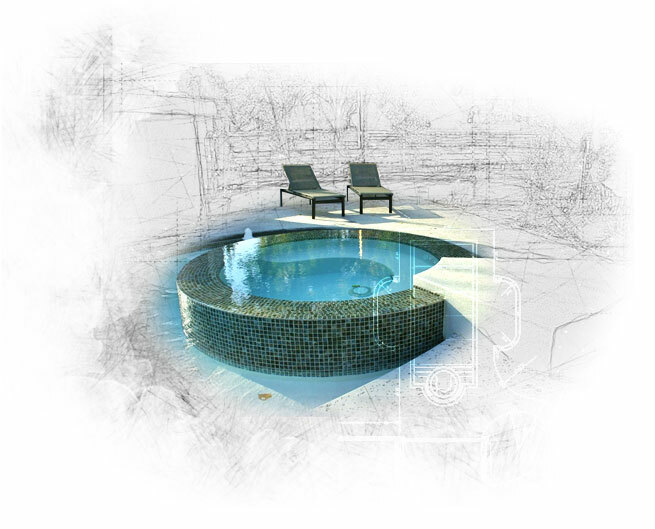 Whatever your dream, Vivion Pools can make it a reality. 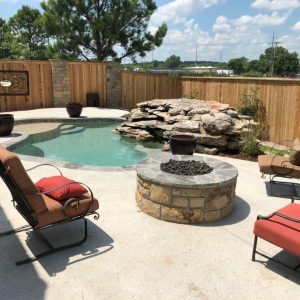 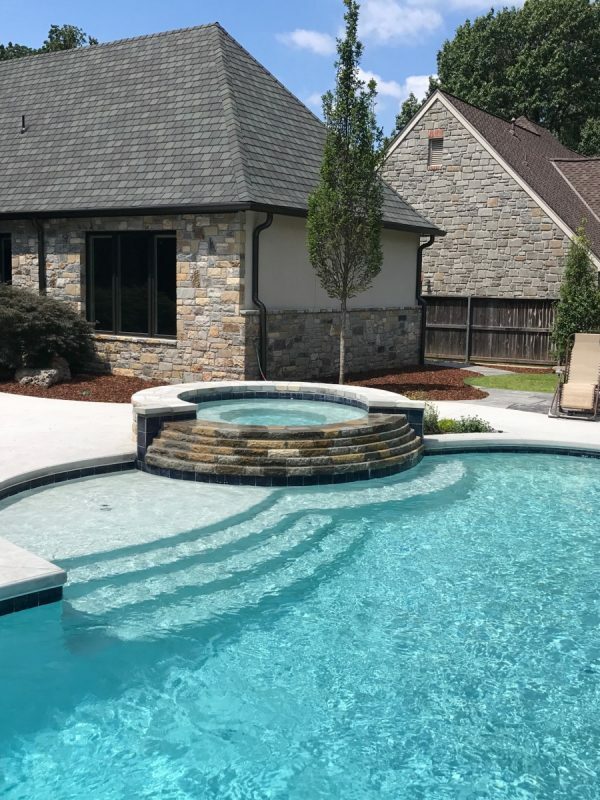 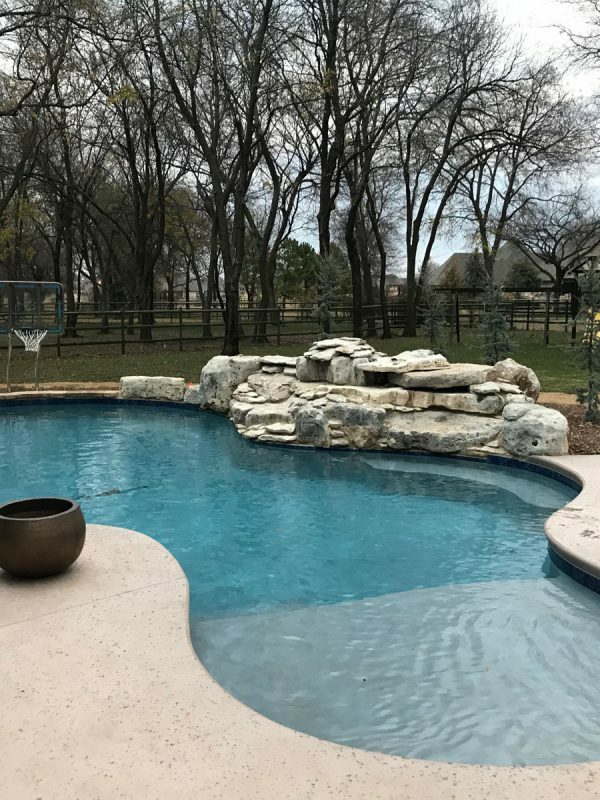 Our special design options create the perfect finishing touches that will make your pool a unique reflection of your personality and tastes.